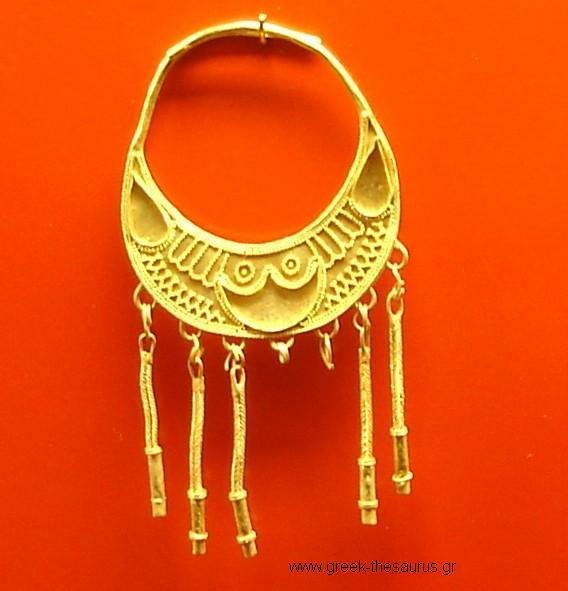 Geometric period jewelry pictures collection from greek museums Each thumbnail photo is a link to a larger version of the same photograph. 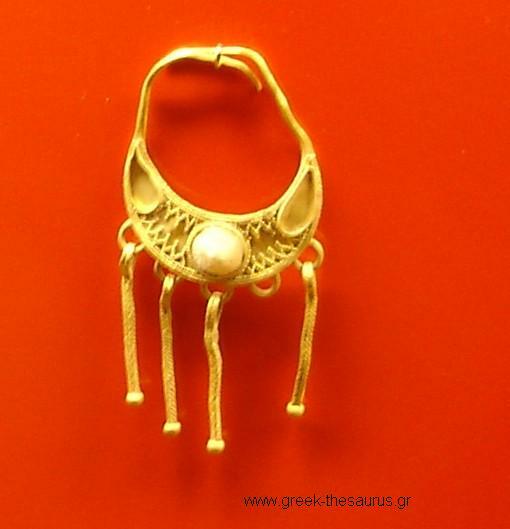 From the large cist grave which was discovered on Skyros in 1935. The grave offerings attest that the cist probably contained a double burial i.e. of a man , the earlier (late 11th -early 10th c. BC.) and of a woman, the later (900-850 Bc.). Most of the objects, which furnished the female inhumation, bear witness to the island's wealth and indicate that the deceasedbelonged to an important family. The location of Skyros was significant in this period, because it served as a bridge between Greece and the East.